This walk follows the Coliban water channel. With a reliable water supply, plenty of edge habitat and open forest, this track often produces good lists of birds. It is a flat walk mostly, as it follows the contour alongside the water channel. Access is via a stile over the fence. 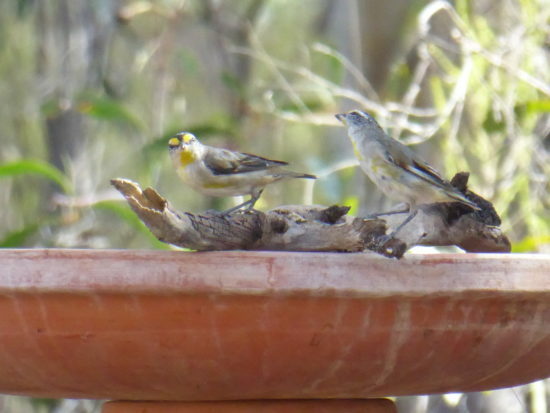 The walk will be led by Damian Kelly, local bird expert, photographer and author of Castlemaine Bird Walks: A guide to walks and birds in the Castlemaine District. Location and directions: Coliban Main Channel, Tyquins Road. From Taradale take the Old Calder Highway towards Malmsbury. About 1.9km from Taradale turn right into Conlans Road and follow this about 700m to a T-intersection. Turn left here, which is the continuation of Conlans Road, for about 1.2km until you reach Tyquins Road. Turn left into Tyquins Road and continue for about 1.6km until you reach Channel Track on your right. The old Tyquins Cottage is situated here. You can park here or go up the rough track another 150m and park near the gate. Time: Meet at Tyquins Cottage at 9:00am, or to carpool from Castlemaine meet at 8:30am outside Castlemaine Community House (formerly Continuing Ed), Templeton Street. This is a very special bird walk at Bald Hill Reserve, Kyneton, jointly led by Friends of Bald Hill Reserve and BirdLife Castlemaine District. The Reserve is a very beautiful and special place, with 3 distinct habitat types. The Friends group has achieved so much in helping the public appreciate its significance and, with Carolyn Robb from the Friends group bringing her incredible local knowledge, this is a walk not to be missed. 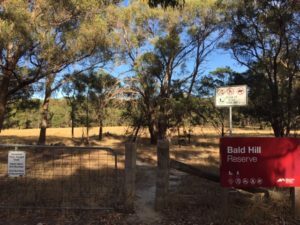 To discover more about Bald Hill Reserve click here. Location and directions: Bald Hill Reserve, Mount St Mary’s Lane, Kyneton. Approach Mount St Mary’s Lane from the south, off Pipers Creek Street – the Reserve is well signposted on your left. Time: Meet at Bald Hill Reserve at 9:00am, or to carpool from Castlemaine meet at 8:15am outside Castlemaine Community House (formerly Continuing Ed), Templeton Street. Important information about walks: Bring water, snacks, binoculars, hat, sunscreen, sturdy shoes, long pants during snake season, and other weather-appropriate gear. Walks will be cancelled if the temperature is forecast to be 35 degrees or more during the walk period, severe weather warnings are forecast, and/or if the day has been declared a Total Fire Ban. Questions? 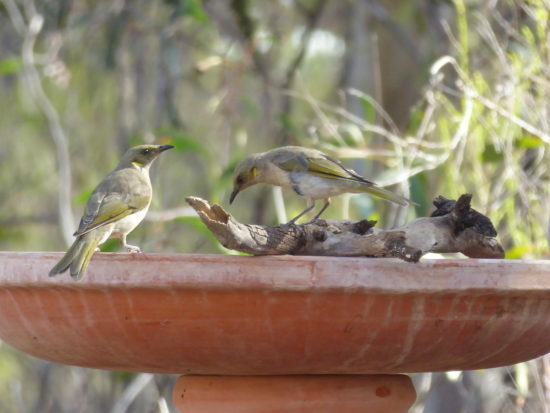 If you have questions about the bird walks program, you can email castlemaine@birdlife.org.au, or call Judy Hopley (0425 768 559) or Asha Bannon (0418 428 721). 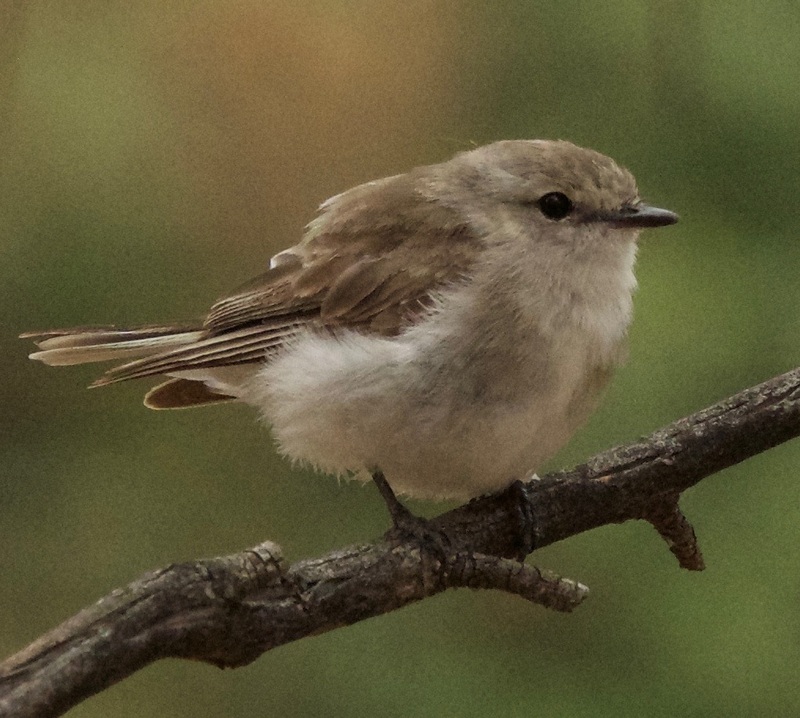 BirdLife Castlemaine District Branch, together with Friends of Bald Hill Reserve, are running a special bird walk at Bald Hill near Kyneton VIC. 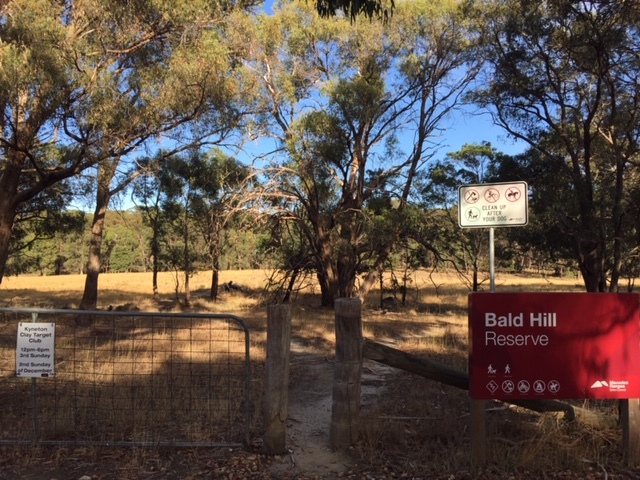 Bald Hill Reserve is a unique and beautiful place, with three distinct habitat types. The Friends group have achieved much through encouraging the public to appreciate its natural significance and on-ground works. Carolyn from the Friends group will share her incredible local knowledge, making this an event not to be missed. Bring: Please wear long trousers and sturdy shoes as snakes may be out and about. Bring sun protection including a hat, and plenty of water. Walk leaders will be Jane Rusden and Carolyn Robb. 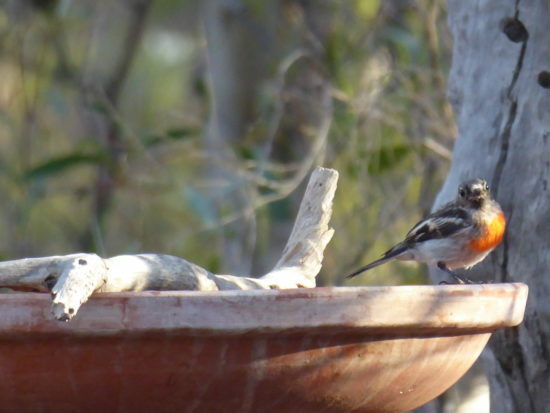 It is true, we have previously written about the wonders of bird baths for birds and other fauna. 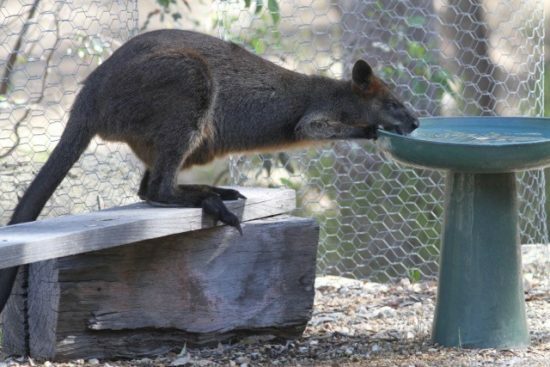 But with another heat wave hitting this week, we are sharing a new gallery of pics of animals using local bird baths during our recent hot weather. On a 40 degree day, fresh cool water can be literally a life saver!